"Actors are born, not made," reflected L.Q. Jones. A native Texan from the Beaumont area, Jones is one of the most prolific movie and television actors in screen history. He told me that although he did not act in high school or college plays, he often partnered in comedy acts to earn extra money. He finally began acting in movies in 1954, when he was 27, and a series of lively performances made him a mainstay of Westerns and other films. "I've done between 550 and 600 pieces, in the movies and on TV." I had the unexpected pleasure of visiting with L.Q. Jones a couple of years ago in Nacogdoches, at a committee meeting of the East Texas Historical Association. A fellow committee member, Dr. Jo Ann Stiles of Lamar University, brought her friend, L.Q. Jones, to Nacogdoches. I was excited at the opportunity to meet an actor whose performances I had enjoyed for more than half a century. L.Q. soon realized that I was a serious fan of his, and he graciously replied to my questions. Recently I related this experience to Larry McNeill, former president of the Texas State Historical Association. He suggested that as State Historian I should interview the noted Texas actor. Larry and Jo Ann helped arrange a phone interview with L.Q., who currently is at his California home, and on Friday, July 12, 2013, he spent well over an hour responding to my series of questions with great depth and courtesy. Born Justus Ellis McQueen in Beaumont on August 19, 1927, he attended school in Port Neches. As a teenager McQueen formed a comedy duo with a Port Neches buddy, future singer, songwriter, and record producer Lee Hazelwood. The day after his high school graduation, McQueen's legs were shattered in a traffic accident. Following a long recuperation, McQueen attended Lamar Junior College for a semester, before transferring to the University of Texas. In Austin he was part of another comedy duo. "We earned $50, sometimes $100 a week." In California following a hitch in the Navy, McQueen signed a contract with Warner Bros. He was assigned the part of Pvt. L.Q. Jones in Battle Cry, starring Van Heflin, Aldo Ray, and fellow Texan Dorothy Malone, and directed by the legendary Raoul Walsh. McQueen assumed the name of his character, "L.Q. Jones." Handsome and athletic, L.Q. 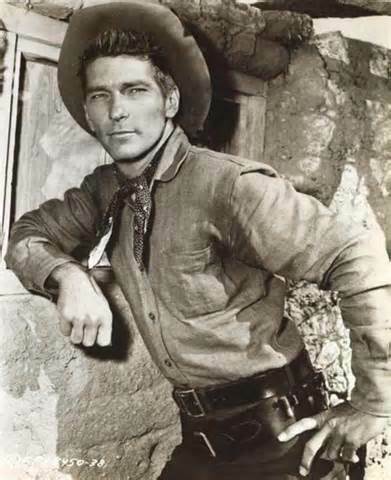 Jones appeared in major motion pictures and in episodes of TV series such as Cheyenne, Wagon Train, Perry Mason, Tales of Wells Fargo, Laramie, and Johnny Ringo. In an episode of Men of Annapolis, filmed at the U.S. Naval Academy, he was part of a water polo scene shot during frigid winter weather. "I developed double pneumonia," he recalled, " and they kept two doctors and an oxygen tent on the set." Five years passed before he first played a heavy, in a 1960 episode of The Rebel. During this period other young character actors were developing compelling personas: Warren Oates, Slim Pickens, and Strother Martin, who became a close friend of L.Q. Jones. These actors often worked on the same projects, and Martin and Jones were memorably teamed in several films. "I learned at least five ways to play a heavy," said Jones, who worked so steadily that he had to develop character variations. His roles became so distinctive that he was more than a character actor - he usually played a character lead. In 1962 Ride the High Country was released, a beautiful, entertaining Western starring Joel McCrea and Randolph Scott, and directed by the gifted but troubled Sam Peckinpah. L.Q. Jones played one of five scruffy, dangerous brothers who battled Scott and McCrea. Peckinpah cast Jones in other memorable Westerns: Major Dundee (1968), starring Charlton Heston; The Wild Bunch (1969), a film noted for its violence and superb cast; The Ballad of Cable Hogue (1970), starring Jason Robards ("The best movie actor of his era," stated Jones) and Stella Stevens; and Pat Garrett and Billy the Kid (1973), with James Coburn and Kris Kristofferson in the title roles. In Cable Hogue Jones and Strother Martin are trapped in a deep hole by Robards, who begins throwing rattlesnakes onto them. It is a chilling, scary scene that took three days to film. "The snake wranglers sewed up the mouths of the rattlesnakes," related Jones, "but I checked every snake before filming started." The snake wranglers threw each reptile up into the air, and the angry snakes dropped 10 to 12 feet before landing. The largest snake weighed 15 to 16 pounds. "When he fell on me it was like being hit with a log." Early in his career Jones demonstrated a flair for costume. "I love wardrobe," he explained. "'Our business is a picture." Jones arrived on the set of Pat Garrett and Billy the Kid expecting to film for a day and a half. But Peckinpah was not satisfied with costuming, and he asked Jones to help out in wardrobe. Jones stayed for more than a week. Only a few years into his career Jones no longer was required to audition for roles. Producers and directors knew his work and offered him parts suited to his unique talents. Fans instantly recognized Jones when he appeared onscreen, expecting high energy characterizations that were a little offbeat, a little crazy. He relished working opposite great actors such as Jason Robards, Robert DeNiro, Anthony Hopkins, Clint Eastwood, Charlton Heston, Steve McQueen, Gene Hackman, Robert Ryan. "The best actors are prepared to go many different ways," he explained, pointing out that in three scenes with DeNiro in Casino, "I would do something good, and Bob would do something better." With great stars like DeNiro and Hopkins, scenes would be filmed far more quickly than scheduled, often in a single take. "The better the actor," he emphasized, "the easier it is to work with him." Between motion picture assignments he continued to work steadily in television. 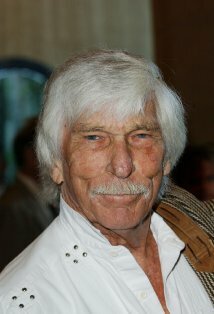 In guest appearances on Rawhide, The Big Valley, Have Gun Will Travel, The Rifleman, Ironside, Charlie's Angels, and The Dukes of Hazzard, his roles usually were major characters. In The Virginian, a 90-minute weekly series, he played Andy Belden in a recurring role. In 1983 and 1984 he portrayed Sheriff Lew Wallace regularly on The Yellow Rose. He told me that 30-minute weekly series were filmed in five days, while one-hour episodes were shot in seven days. "TV movies took 15-16 days." In 1998 Jones gave a memorable performance as California outlaw "Three-Fingered Jack" in The Mark of Zorro, starring Anthony Hopkins, Antonio Banderas, and Catherine Zeta Jones. He already had acted with Hopkins in The Edge (1997). "Tony is the best actor in the business," he declared emphatically. The actors were lightly clad on the porch of L.Q. 's hunting lodge during a scene that was filmed with the thermometer registering -50 degrees. The actors, of course, were miserable, and Jones pointed out that "crew efficiency fell by 60 percent." The Edge was filmed in Canada. Jones has shot movies in Europe, South America, and Africa, and he laments that so many films are lensed outside the United States. "Only one of my last thirty pictures was shot in America." When I phoned L.Q. in California, he was in meetings to re-release A Boy and His Dog, a film he wrote and directed in 1975. A Boy and His Dog was re-released in 1982, and soon will be available in a BLU-RAY edition. Still active in films at 86, L.Q. Jones is a talented Texas treasure. L.Q.is Top Dog to me...his appearance on screen validates the film.